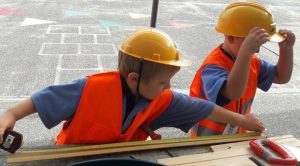 Torbay School recognises the importance of transitioning students from their early years setting and preparing them for more formal learning. Our Foundation programme provides our students with skills and experiences necessary to begin their learning journey. We believe in working in partnership with families and pre-schools to achieve this. Click the button below to read more about the programme. It is helpful if your child is pre-enrolled at Torbay School prior to 30 June of the year before his/her 5th birthday. This enables us to plan for the next year. Please don’t hesitate to ring the office if you have any queries. 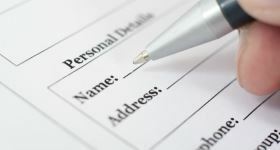 A formal enrolment form needs to be completed. This gives all the personal details necessary for our records, e.g. health details, emergency contact numbers, and any additional information you feel we need to know. Please feel free to discuss any concerns you may have and, rest assured, these will be kept in strictest confidence. In addition you will need to provide proof of your in zone address – home landline, power, rates, tenancy, sale and purchase agreement or similar. If you live outside the school’s enrolment zone, please contact the school office for details of any ballot. We usually suggest that your pre-school child comes for 2 school visits prior to their first day at school. These are every Thursday morning from 8.55am – 10.30am, apart from the last day of each term. This is an opportunity for you and your child to meet the teacher, become familiar with the classroom, cloakroom, toilets and get to know other children in the classroom. A parent is required to stay with the child for the duration of the first visit, but the second visit is for the child alone to enable ease of transition to school. You will also be given an “information package” which includes several forms to be completed and returned to the school office before your child starts school. Your child will need stationery and a book bag. All these things are available from the school office during Term 2-4 (not during Term 1) but you may prefer to buy them elsewhere. Just ask for a list from us but do make sure that you buy the correct exercise books. Most children bring their playlunch and lunch to school, and a drink. Do ensure that your child has a drink bottle they can easily open and put the lid back on properly. A few trial runs would be a good idea! Once a term we hold an information morning for parents who are new to the school or considering enrolling their children at Torbay. Please ring the school to find out when the next meet the principal morning is. Finally, we want you to feel comfortable about your child coming to Torbay School and encourage you to come along and have a look at the school, meet the Principal (Gary O’Brien) and ask any questions. Do not hesitate to ring the office with any queries, School Secretary (Natasha Derksen). Effective date shall be 1 January 2000. Pursuant to the Education Act 1989, the Board of Trustees of Torbay Primary School hereby declares that it has adopted the following enrolment scheme for new pupils at the school, in order to avoid overcrowding or the likelihood of overcrowding. Enables students to attend a school of their choice. All Children whose current place of residence is within the school’s defined geographic area will have guaranteed access to a place at the school. Depending upon availability of places, the following priority considerations will apply for children residing outside the school’s geographic area.